It's the dream of every teacher on Earth: One of your students uses the lessons you impart to reach the top level of success in their field. And if you have a contract that entitles you to a significant chunk of their career earnings in that field, even better. That's the current situation between tennis star Naomi Osaka and one Christophe Jean, who in a recent lawsuit claims to have been hired to coach both Naomi and her sister Mari, and that he has a lifetime agreement in writing entitling him to 20 percent of their career earnings in tennis. As Jean tells it, back in 2011, Osaka's father Leonard Francois couldn't afford his rates. So in lieu of his usual fee, the two worked out an agreement that would entitle Jean to 20 percent of not just the child's (who was only 14 at the time the contract was allegedly signed) tennis prize money but any and all endorsement income as well. It's a pretty tall claim, but Jean says he has a hard copy of the "indefinite" agreement backing him up. "While it comes as no surprise that Naomi's meteoric rise as an international icon and inspiration would lead to some false claim, this silly 'contract' that Naomi never saw or signed — which purports to give away part of herself at the age of 14 — is particularly absurd." 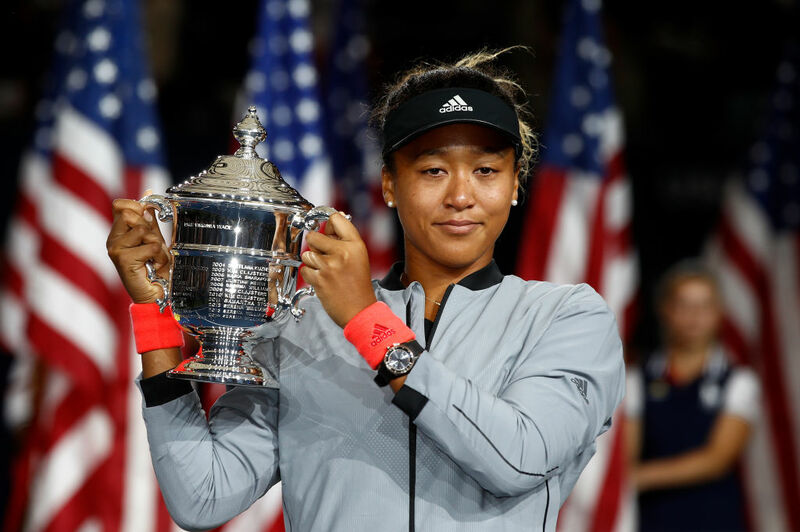 Osaka's career prize earnings sit at over $10.8 million, with obviously much more still to come if her career continues on its present trajectory. And that doesn't count all the millions she's earned in various product endorsements, all of which is to say that a 20 percent slice of all that money would be a significant sum indeed. Naomi Osaka is quickly becoming one of the hottest names in tennis, and now she has signed a 'global ambassador' deal with Nissan. Naomi Osaka just won the U.S. Open at age 20. It is her first Grand Slam title. She defeated Serena Williams. Osaka won $3.8 million. Now, reports are surfacing that she is about to sign an enormous contract with Adidas.